Genres & Themes: YA, Graphic Novel, Greek Mythology, Adventure, Montsers, Friendship. Seventh grade has been surprisingly quiet for Percy Jackson. Not a single monster has set foot on his New York prep-school campus. But when an innocent game of dodgeball among Percy and his classmates turns into a death match against an ugly gang of cannibal giants, things get…well, ugly. And the unexpected arrival of his friend Annabeth brings more bad news: the magical borders that protect Camp Half-Blood have been poisoned by a mysterious enemy, and unless a cure is found, the only safe haven for demigods will be destroyed. 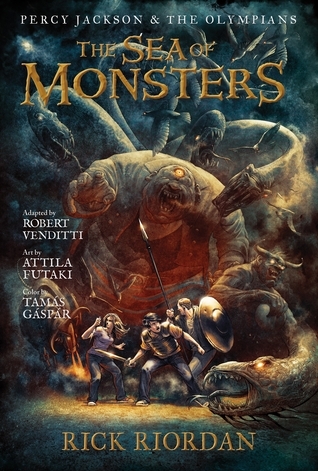 In the follow-up to the wildly popular The Lightning Thief, The Graphic Novel, Percy and his friends must journey into the Sea of Monsters to save their camp. But first, Percy will discover a stunning new secret about his family–one that makes him question whether being claimed as Poseidon’s son is an honor or simply a cruel joke. 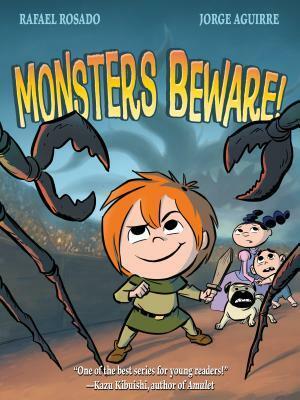 Genres & Themes: Graphic novel, Mature YA, Sequential Art, Monsters, Friendship. Hadashi is a boy with simple dreams… but his life changes when a horrific accident maims his hand! Unable to hold a sword, he’s kicked out of his dojo home. But the Orphan Blade is no ordinary sword. When Hadashi comes across the abandoned blade, he finds that not only is he able to wield it – the sword seems to be wielding him! 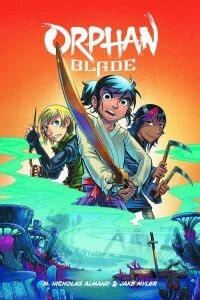 He’s not the only one interested in the Orphan Blade, though, and his ownership draws the attention of the Five Fingers of Death – a deadly group of mercenaries who have their own magical and deadly weapons.